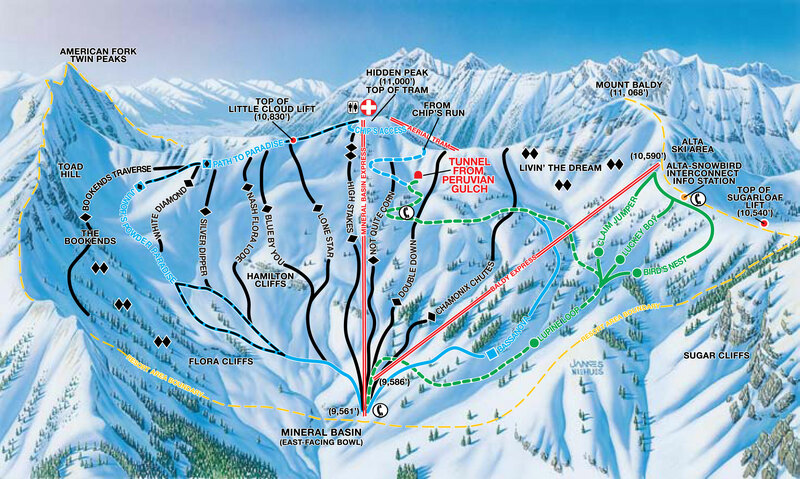 Uphill Capacity: 17,400 skiers and snowboarders per hour. 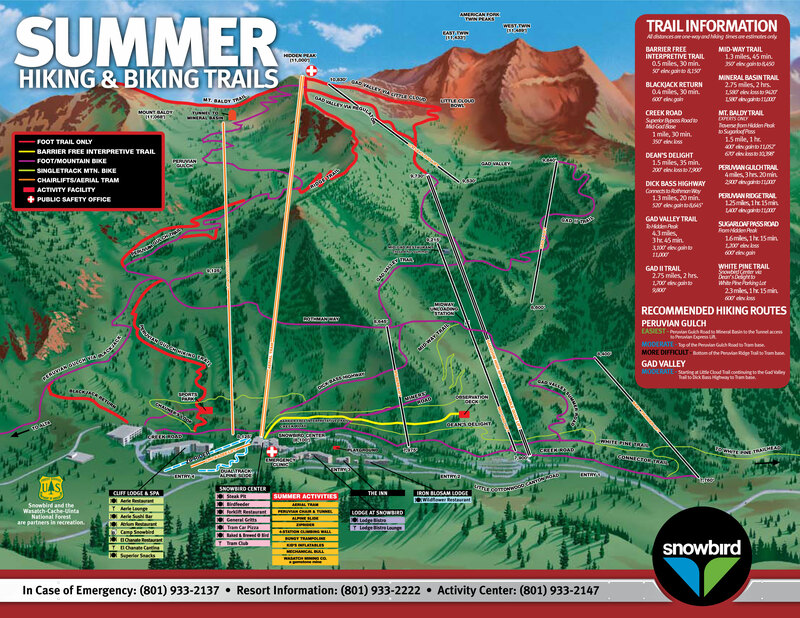 Terrain: 27 percent beginner, 38 percent intermediate, 35 percent advanced/expert. Tram covers 2,900 vertical feet in approximately seven minutes. Longest Run: Chip's Run, 2.5 miles. Longest Descent: Gad Valley, 3.5 miles. 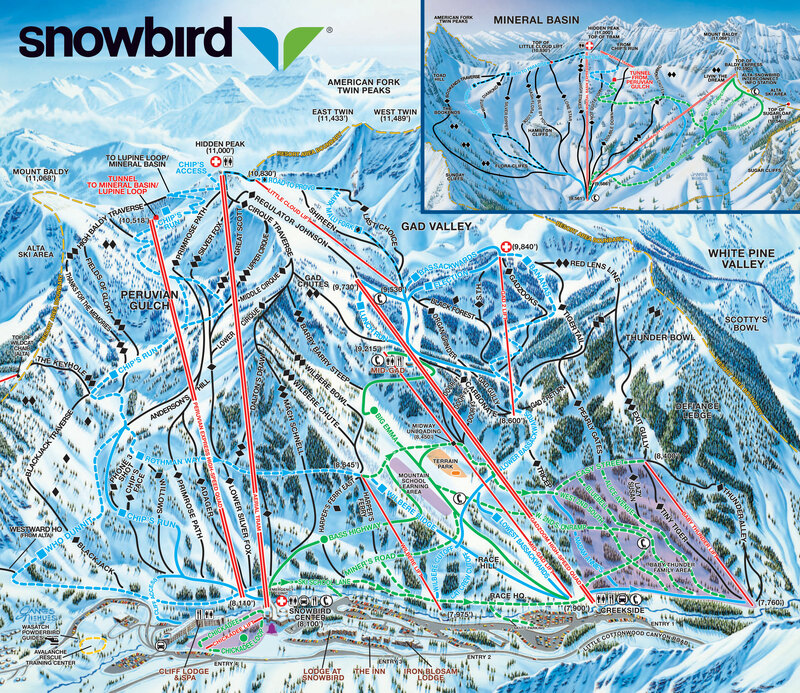 Snowbird Ski Resort is 29 miles from Salt Lake City International Airport via I-80 East to I-215 South. Take the 6200 S exit and follow the signs to Little Cottonwood Canyon along Wasatch Blvd.